I haven’t even completely unpackaged this Fox canvas, but I’m already loving it! I checked reviews before I bought it, so I knew that the foxes feet would show to the bottom of the canvas. So far, that is the only problem with it. It seems to be a very good product so far and I am overly excited to hang it on my wall and order the other fox one! Absolutely love it! Very good condition. 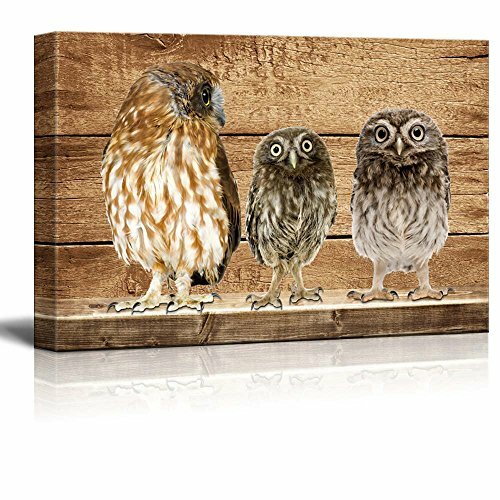 It hangs in my bathroom with the rest of my owl decor. Very nice. I have no complaints. Caame packaged well, easy to hang. Looks very nice. Love it! Just wish I bought the larger size. This Canvas is a nice quality piece of Art and my Girlfriend loved it. Looks great, sturdy construction. My husband loved it. Another gift giving crisis solved. I had purchased this picture for my bff as a birthday gift. She loved it so much and thanked me so much for getting it for her. It's exactly what I thought it would be...looks great on my living room wall!